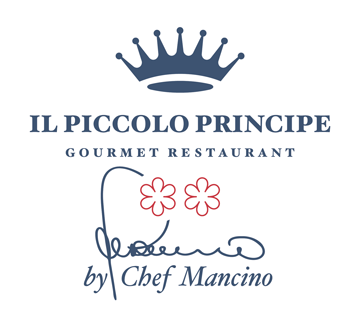 The Il Piccolo Principe 2 Michelin Star Restaurant is open from 8 March to 31 October 2019. It rises over what is probably the most beautiful terrace of the little city, a place to abandon oneself to the pleasure of the setting, in one of the best luxury hotels of Versilia, and to taste extraordinary dishes that satisfy and entertain. The author is Giuseppe Mancino, originally from Campania, who, after many years and important experiences in Italy and abroad, has stopped here to best express his cuisine. Complex and exacting in combinations and cooking, intelligently risky, sometimes surprising, always balanced. There are tasting menus from the sea and from the land, and a rich and inviting menu, of whose discovery you will be masterfully supported by the wait staff. Begin with red mullet, fennel cream, vegetable panzanella and cacciucco fish sauce. You can taste the touch of Southern Italy in the calamarata pasta of Gragnano with shellfish, calamari and asparagus tips; pasta rolled to perfection and balanced filling in the green ravioli stuffed with salt cod, whelks, seaweed and yellow tomato. Correct combinations and unique flavors even when moving from sea to land, like lamb of Garfagnana with chicory, peppers and coffee. Finally, lose yourselves in the variation of “tarte au citron”, with almond sablé crust, lemon cream, mint meringue and basil ice cream. The wine cellar is rich in interesting choices, with small Tuscan producers and advantageous prices.